Enter your name and email for the latest updates on Experian Global News. You have successfully subscribed to the Global News blog feed. 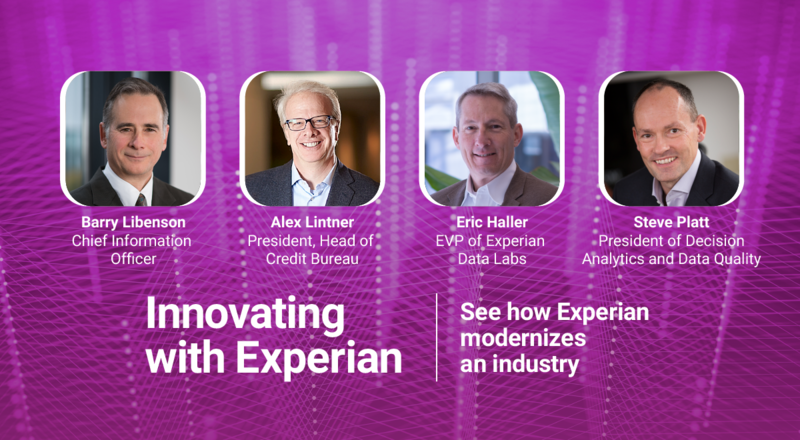 Experian is the world’s leading global information services company. Learn more. Watch our weekly data science live video chats on Facebook Live. Subscribe to the DataTalk podcast on iTunes ,Google Play, Stitcher, SoundCloud, and Spotify. © 2019 Experian Information Solutions, Inc. All rights reserved. Experian and the Experian marks used herein are trademarks or registered trademarks of Experian Information Solutions, Inc. Other product and company names mentioned herein are the property of their respective owners.